What could be more exciting than a Jeep Safari? There are many Jeep Safari adventures available and some of the most famous Jeep Safari destinations are Pangong Lake, Nubra Valley, Tsomoriri Lake and others. 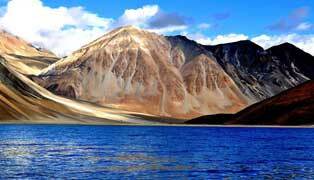 Beholding the sturdy mountains, Pangong Lake is situated at a height of about 4350 metres. 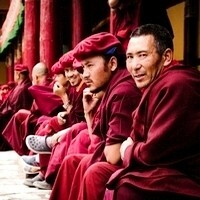 It’s a place that blooms with tourists and provides you an exotic vista. Although it mostly remains blue in colour, it changes its colour to green and sometimes reddish. 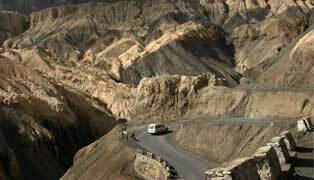 The distance from Leh to Pangong Lake is about 140 km and it can be reached in 4 to 5 hours. 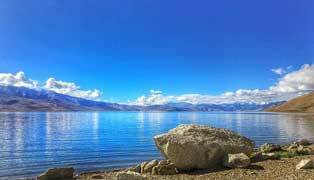 And the distance from Nubra Valley to Pangong Lake is about 150 km and it can be reached in 6 to 7 hours from Nubra Valley. Tsomoriri Lake is located about 240 kms away from Leh in Changthang region of Ladakh. It is one of the most beautiful and high altitude lakes in India. Tsomoriri is at an altitude of 4,595 meters and it measures 19 kilometer long and 7 kilometer wide. Tsomoriri Lake is surrounded by hills, with the setting of beautiful snow-covered sturdy mountains. A number of species of birds such as bare-headed goose, the great-crested grebe, the Brahmin duck and the brown-headed gull, Himalayan hares are found here. Wild animals including Kiang, Nyan, Wolf, Lynx etc. dwell on the pastures around the lake. Nubra is located in the north of Leh around 120 kms across the Khardong La (18,380ft). Nubra means "Ldumra" which used to be an important station on the famous silk route leading from Leh to Kashgar through the two passes of Saser and Karakoram. 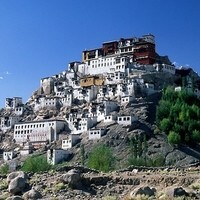 The main attractions of this area are the Bactarian Camels (Double Humped Camels), Khardung-La Pass (world's highest motorable road at 18,380 feet) and the monasteries like Deskit and Samstaling. © 2018 Reachladakh. All rights reserved.